Sports Direct International PLC appointed David Daly as a non-executive director. Daly has 30 years’ experience in the sporting goods industry, working for Nike Inc until his retirement in 2015. 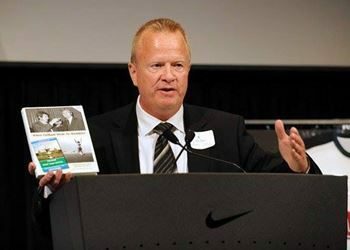 He was most recently as senior director for Nike’s Club & Federation Business based in Amsterdam. Daly also is a non-executive director of Fulham Football Club. “I am delighted that David will be joining Sports Direct as a non-executive director, he will bring very relevant industry expertise and experience to the board,” Chairman Keith Hellawell said in a statement. The U.K.-based retailer also said non-executive director Dave Singleton would not be standing for re-election. Singleton was formerly European vice president at Reebok, and assisted with integration when the company was bought by Adidas in 2006. He had served on the Board since 2007. Hellawell said, “Dave’s skills and expertise will be greatly missed by the company. I wish him every success in his future endeavors.